CRICKET: A rookie New Zealand bowler has softened up Pakistan ahead of its visit to Australia following the South African series. 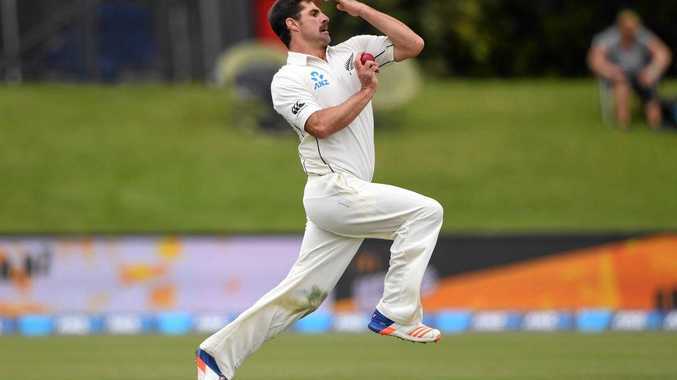 On day two of the first Test in Christchurch, Colin de Grandhomme produced the best bowling figures on debut for the Black Caps (6-41) to help skittle the visitors for 133. Earning a belated call-up, the 30-year-old became just the eighth Kiwi to claim a five-wicket haul in their first Test. New Zealand is chasing its first Test win over Pakistan since 1984-85.